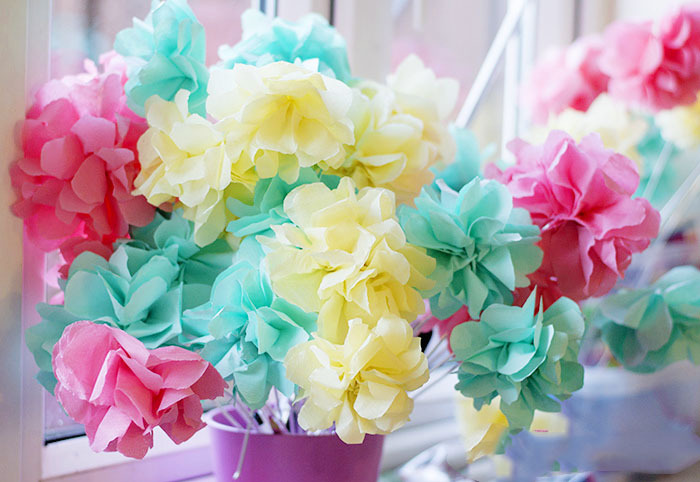 I made these crepe paper flowers absolutely ages ago but have only just got around to posting about them for some reason, have no idea why it’s taken me so long! 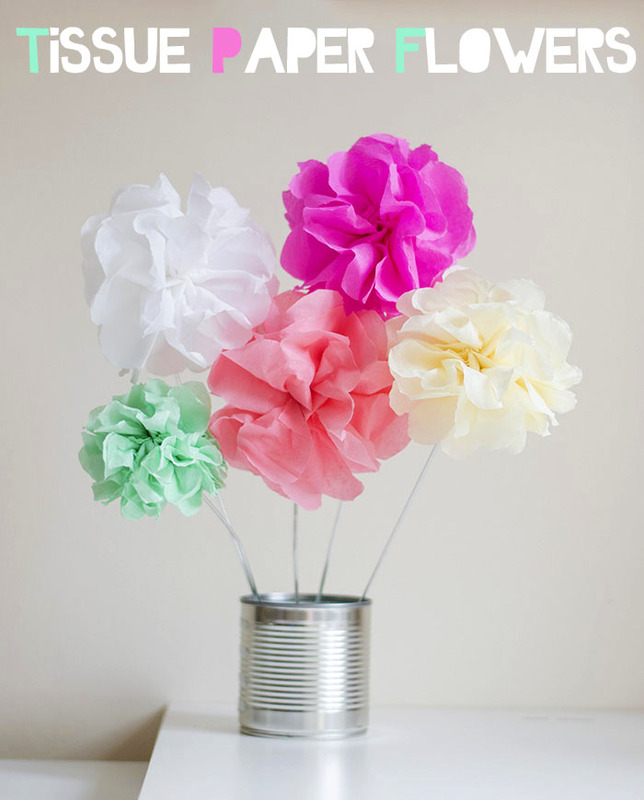 Following on from my stick flowers I wanted to make something a bit more grown up so after searching through Pinterest for tissue paper flower tutorials I found this one by Bespoke Bride that was really easy to follow and gave me the look I was after. The first change I made was to tie yarn around the snipped middle instead of to wrap the wire around it. This was because I made my flowers a lot bigger and out of crepe paper instead of tissue paper so the wire wouldn’t have been strong enough to support them. Instead of the flower wire in the original post I used the bendy wire rods that my OH uses for welding, I’m always mentioning them in my craft posts because they really are amazing. 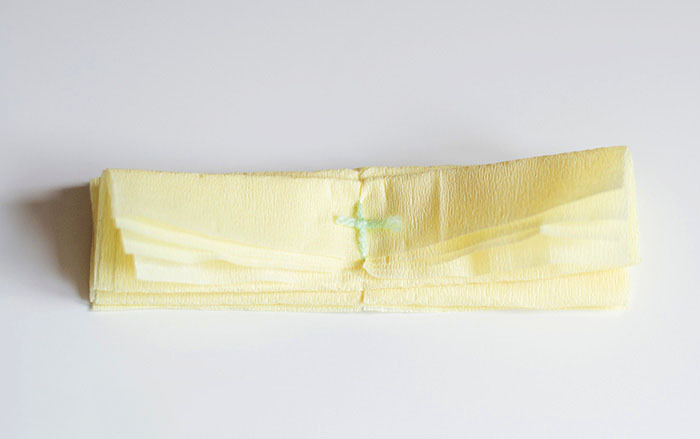 You can make them shorter by bending them back and forth a couple of times until they snap and they are so versatile. 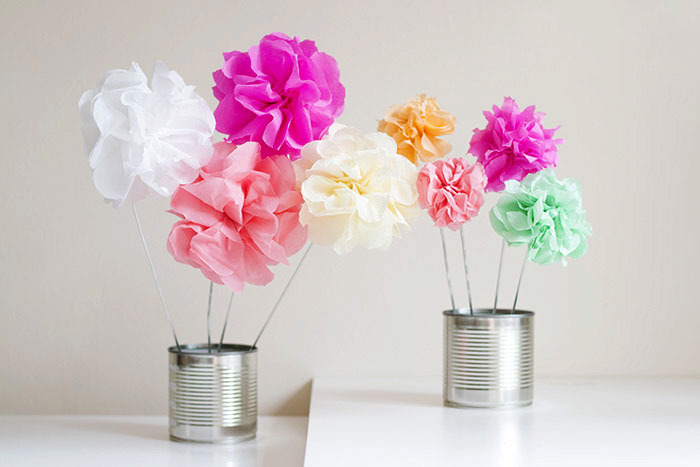 If you did want to buy some to use then I found these on eBay, the price is for 1kg which my OH thinks works out at about 30 rods, I made three big crepe paper flowers out of one rod so could make loads with that amount and still have some left over for other craft projects. You could also use an old metal coat hanger or even some sticks. I used my glue gun to stick the metal rods into the middle of the flower. My friend Fritha actually asked me to make some for her wedding last month which I really enjoyed, it was so nice to see them all set out on the tables. She put one of each color in a little milk bottle which looked really sweet. 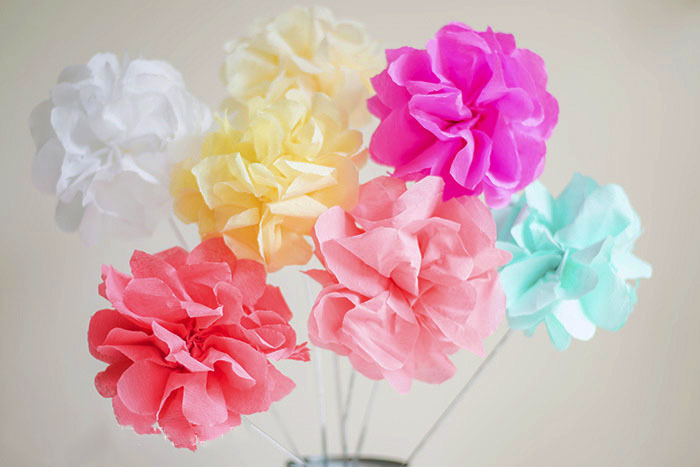 They make a great alternative to real flowers as they last forever! 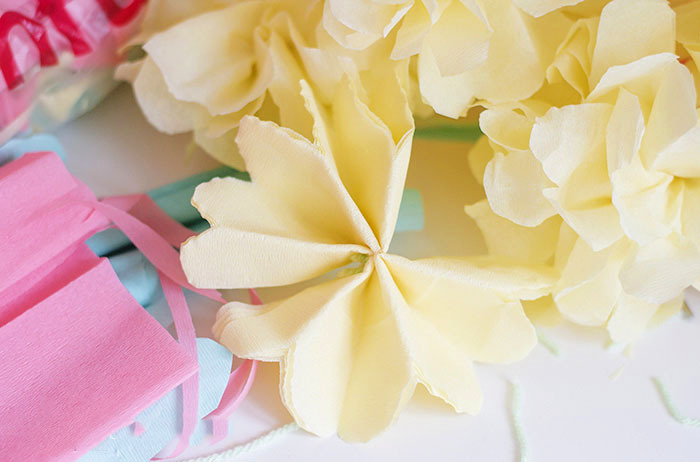 For more diy flower ideas see my Pinterest board.. 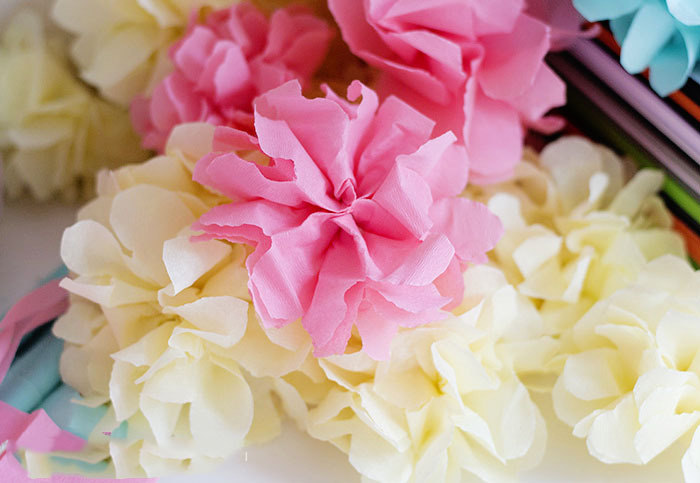 Follow Jess @ Along Came Cherry’s board DIY FLOWERS on Pinterest.